Location: Bassett Way, Ramona. 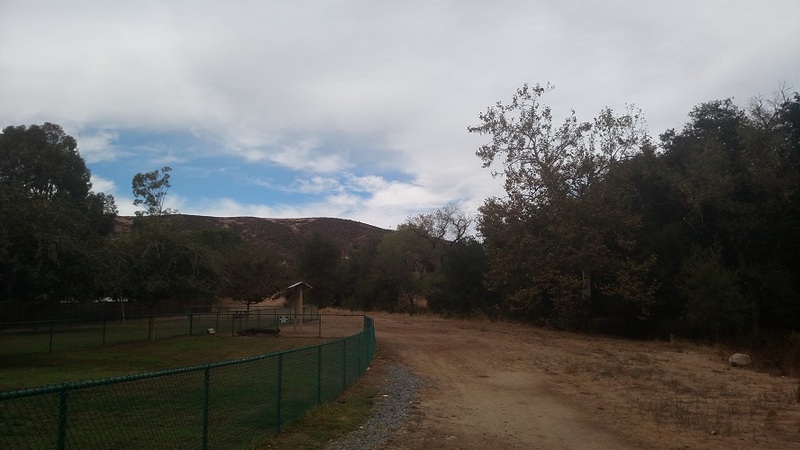 From the intersection of highway 67 and 78 in downtown Ramona (19 miles east of Escondido and 22 miles west of Julian) head south on 10th St., which almost immediately becomes San Vicente Rd., for a total of 5.6 miles. Turn left onto Arena Drive and take a quick left onto Spangler Peak Road. Go 0.4 mile and turn right onto Bassett Way. Park where available on the street near the dog park. Ramona Peak (elevation 2,128) is the highest point in the 650-acre Simon County Preserve. This post describes the quickest approach to the summit, although additional trails can be explored for those who want a longer hike. Unfortunately this trip loses points due to its proximity to power lines and broken glass on the summit, but it’s still a worthwhile stop if you’re in the area. 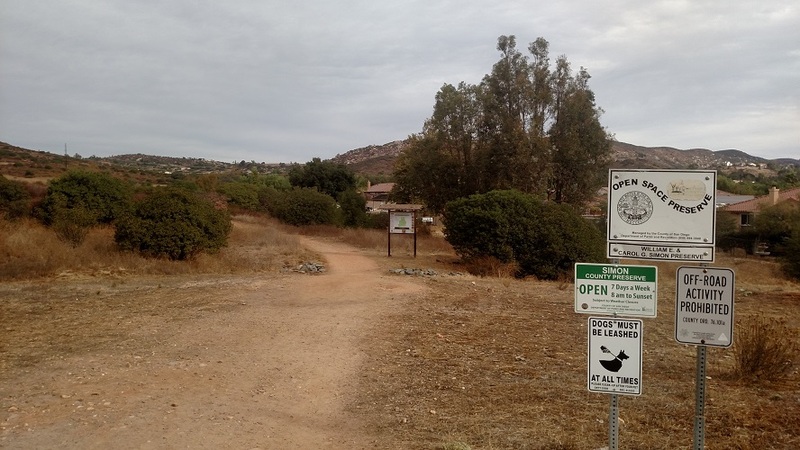 From the east side of dog park on Bassett Way, follow a walking path north to the signed entrance to the preserve. The trail continues past some houses to an intersection about half a mile from the start. Make a hard left and begin climbing, picking up the majority of the hike’s elevation gain (about 400 feet) in the next 0.6 mile. Despite the power lines, the views are impressive, notably Cuyamaca Peak in the distance to the east. You also get a nice aerial perspective on the San Diego Country Estates neighborhood. A final steep push brings you to the top of a ridge. Here your work gets easier as you turn right and head north. 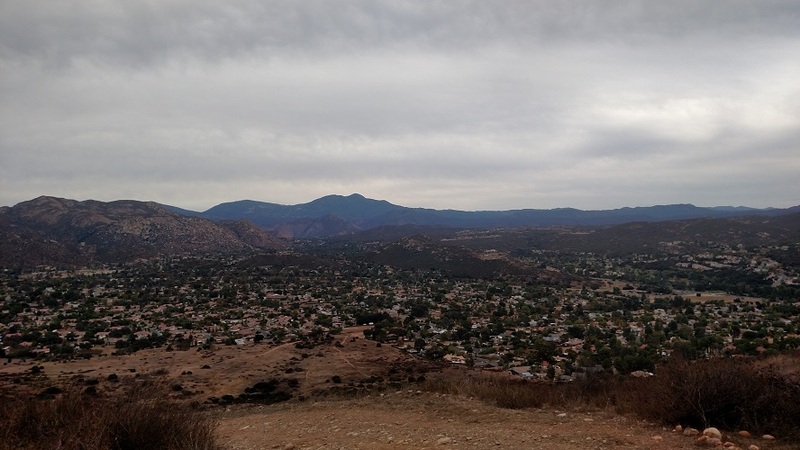 Now the views include almost all of western San Diego County. Mt. Woodson, with its trademark pyramid shape, is hard to miss. 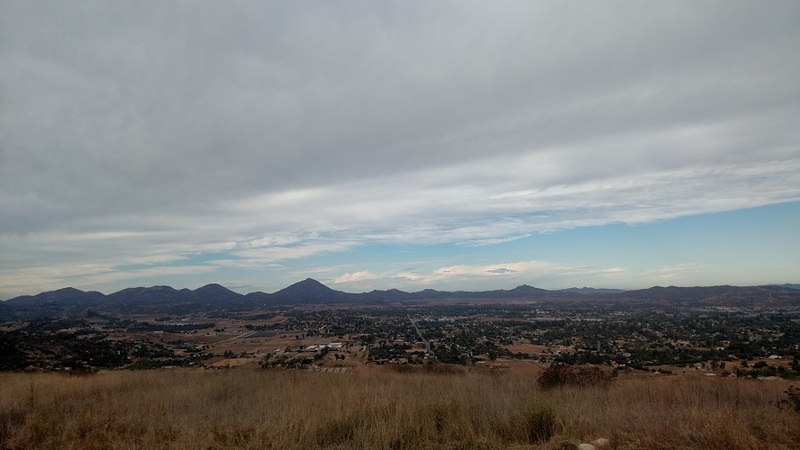 At 1.8 miles from the start, you reach the high point, marked by a bench where you can sit and enjoy a 360-degree view, relatively unobstructed by the power lines. From here, the simplest choice is to retrace your steps, although you can extend the hike in a number of ways. One option is to continue briefly to the north and loop back on a trail following an adjacent ridge.